PTH Enterprise Sdn Bhd is humbled and grateful for the invitation by Consulate General Malaysia to perform an open cooking demonstration of Sarawak Laksa in City Hall Hotel Grand Aston Medan, Indonesia. 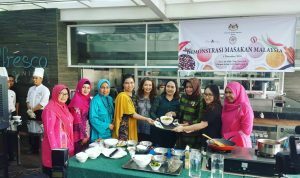 This demonstration is to create awareness among Indonesians about our traditional Sarawakian dish, "Sarawak Laksa". 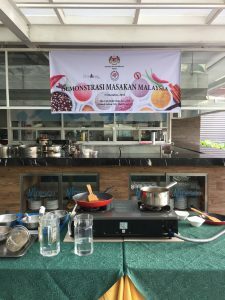 Our demonstration covers method of cooking, ingredients needed and a few general tips that make a good Sarawak Laksa dish. Click here for Tribun Medan's cover on this event. We look forward to future domestic and international events to showcase our Sarawak Laksa Paste, thereby expanding our Sarawak Laksa Paste on a global scale.